Saturday, 5 March was another great day out for the team at Willinga Park who attended the Braidwood Ag Show. 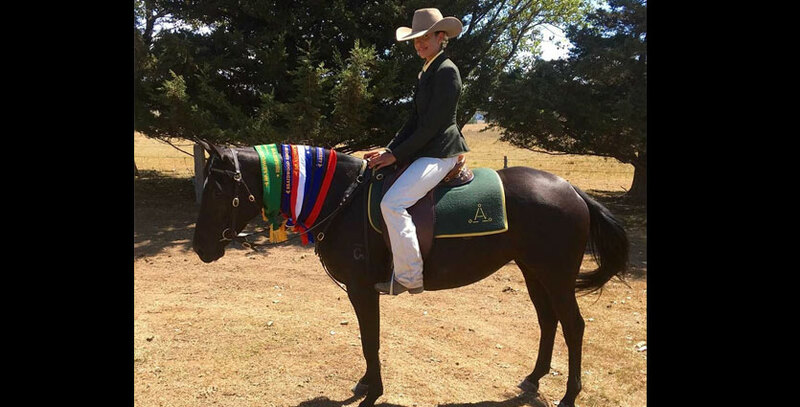 Lauren Morley showed her stuff winning Champion Led Mare and Reserve Champion Working on Bullseye Starlight. Starlight is a lovely little mare sired by Troy Palmers ID and half sister to Bullseye Anna Rose now being handled by Amelia Nelson. Well done Lauren! Scotty Everingham also had another great day at Braidwood show topping off his success at the Milton Show yesterday. Today Gordon Broadacres, only a 2 yr old won 1st Led Gelding and 1st in both the Hack and Working for under 2 yr olds. Scotty and his team are currently training 30 horses at Willinga Park for the September production sale.